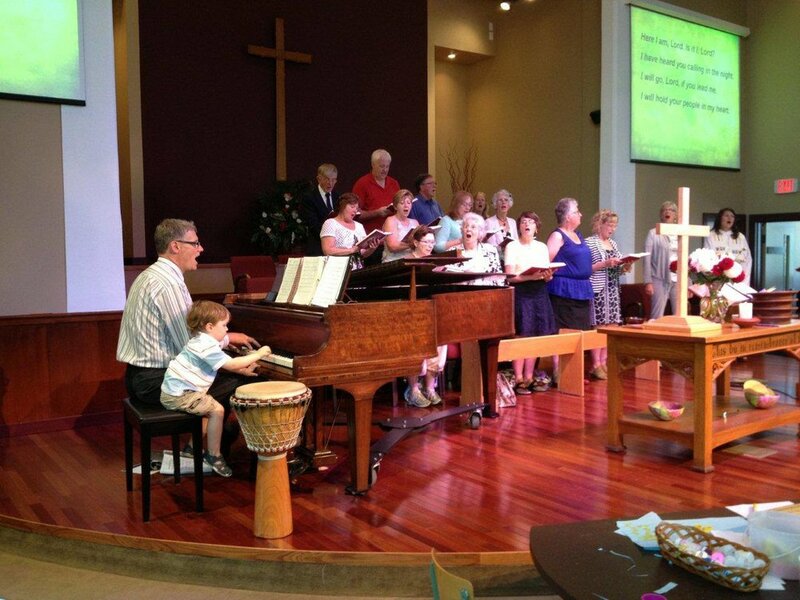 This Sunday, the congregation of Oak Bay United marks the last Sunday of Gordon Miller's music ministry with the congregation. After seven years leading the congregation in song, worshiping God, and growing community, Gordon is embarking on a new path in his professional life and ministry's journey. Today, we give thanks for the gifts we have grown and shared together, under Gordon's dynamic and committed leadership. Please join us later on Sunday evening, at Gordon Miller's Farewell Party, 7pm in the Community Hall. All are warmly welcome to both Sunday celebrations! Oak Bay United makes space every Sunday morning for sacred story, prayer, reflection and programs for children and youth. Your presence matters, and every Sunday the community is shaped by your being here - the first time, and every time. Worship at Oak Bay United includes: songs and hymns, hearing the stories of our faith, silent and spoken prayers, a sermon, offering time, and a few announcements towards the end of the service. We start with about 20 minutes of everyone gathered together, and then children and youth are invited to join age-specific programs lead by our Children & Youth ministry team. Children and youth are also very welcome to chose to remain with their adults for the full service. Children ministry programs run ALL SUMMER long! Community continues with you and for you, over hot and cold drinks in the Community Hall (downstairs) with lots of space to sit, chill and connect.